We see a space differently with people in the picture; our brain simply directs our attention towards them without any conscious effort on our part. On some level, we may know this, but now with eye-tracking technology we can really look at it! And our human-centric bias is striking to behold. See the interior rendering below (kindly provided by architect Gerhard van der Linde). 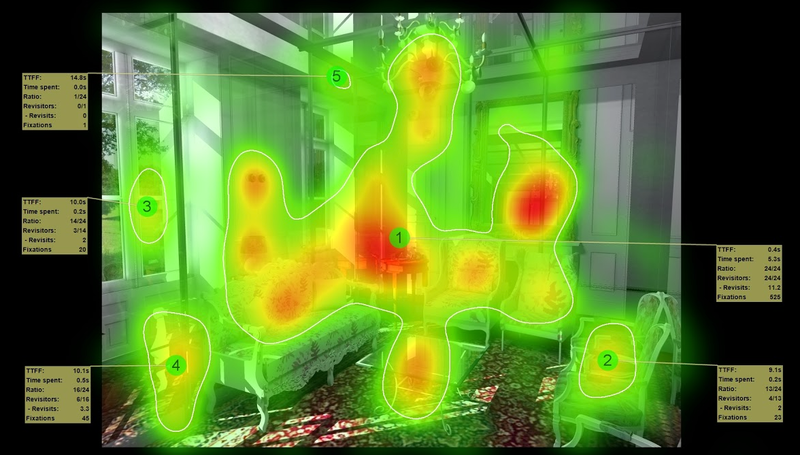 The image at left shows a double-height space with a young woman seated on a stair; to the right is a heat map of the same view, glowing red where volunteers (from our recent eye-tracking study) looked first and foremost. Given a 15-second interval, they took in the woman’s face in less than three seconds on average and spent more time going back to check her out than looking anywhere else—despite all the other details, vegetation, and elements present. Even when people are merely suggested, appearing as shadowy shapes as shown below, our brain directs our eyes to focus on people or things resembling them. In these interior renderings, provided by designer Charline LeBrun, three smokey figures sit on a living room sofa and chairs. 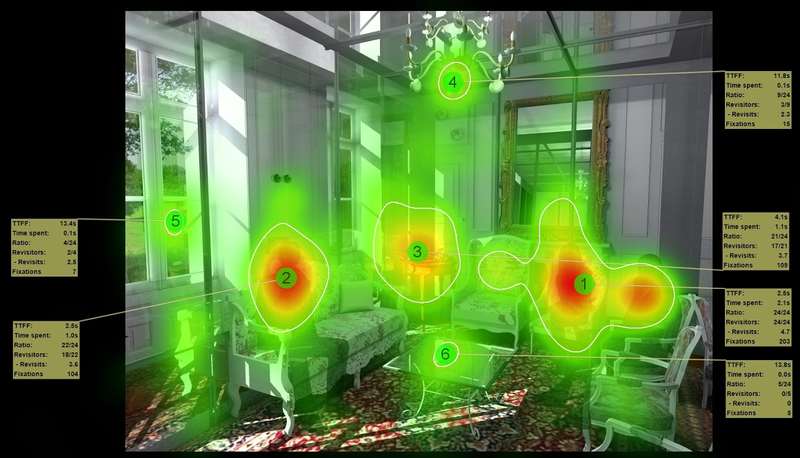 On the right, the heat maps, from a recent eye-tracking study of 24 volunteers, glow brightest and largest around their shapes, even though there are many potential areas of interest in the scene, including outdoor views, an intricate rug, an ornate chandelier. Without people, we take in the same scene much differently and more randomly, (see images below). The eyes move about more, drawn to areas of sharp contrast, such as where light and shadow are juxtaposed in the image center, or where there is a bright chandelier reflected in a mirror just to the right of the image center. Note how there are 10 or so areas that glow reddish in this image versus a mere four in the one above. More detailed analysis reveals just how astonishingly different our viewing patterns become with people around (see image below). With no one present, we head right for the central area, where there’s a great deal of visual contrast; (TTFF or Time To First Focus on that area is 0.4 seconds, see box at right of image). Note how over half of viewers of this scene (14/24 in this case) also found time to checkout the outdoor view within 10 seconds. With people in the scene, however, only four of 24 test subjects found time to focus outside, and these only did so after 13.4 seconds, close to the end of the 15-second testing interval. No wonder savvy marketers and designers plaster people all over their ads and sites. Fact is, when it comes to viewing certain classes of objects, we’re simply animals – and our brain wouldn’t – or couldn’t – have it any other way. (So much for free will! 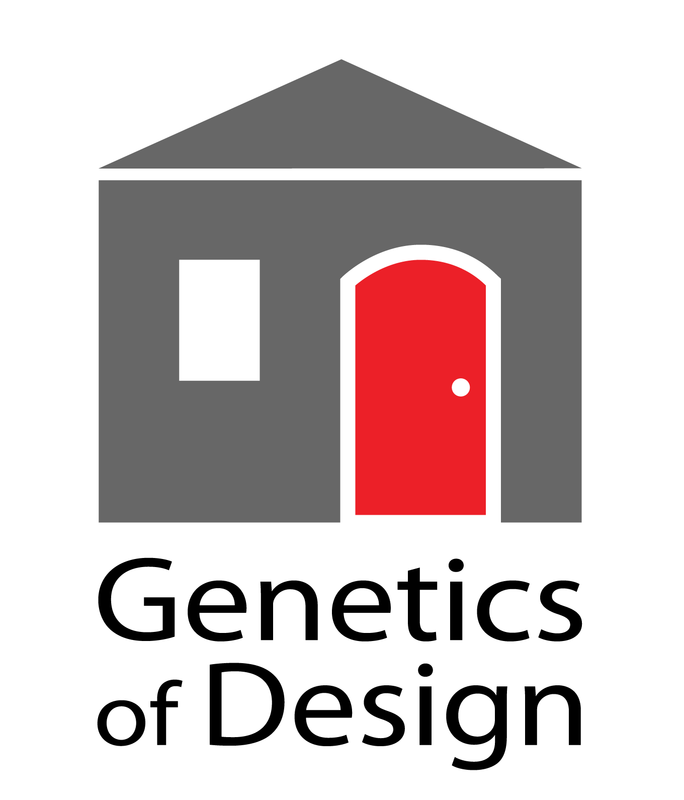 This entry was posted in Architecture, Design, Uncategorized. Bookmark the permalink.